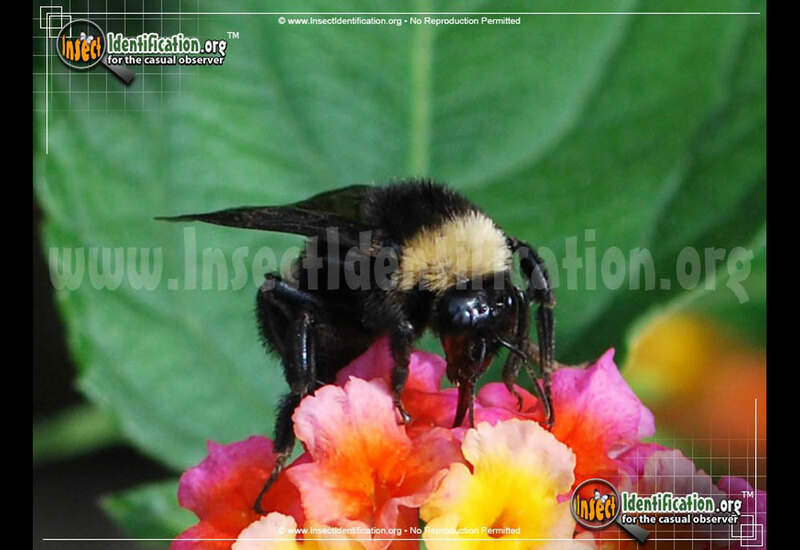 Detailing the physical features, habits, territorial reach and other identifying qualities of the American Bumble Bee. The iconic yellow and black American Bumble Bee is a classic summertime friend doing tremendous amounts of good for plants and virtually no harm to people. 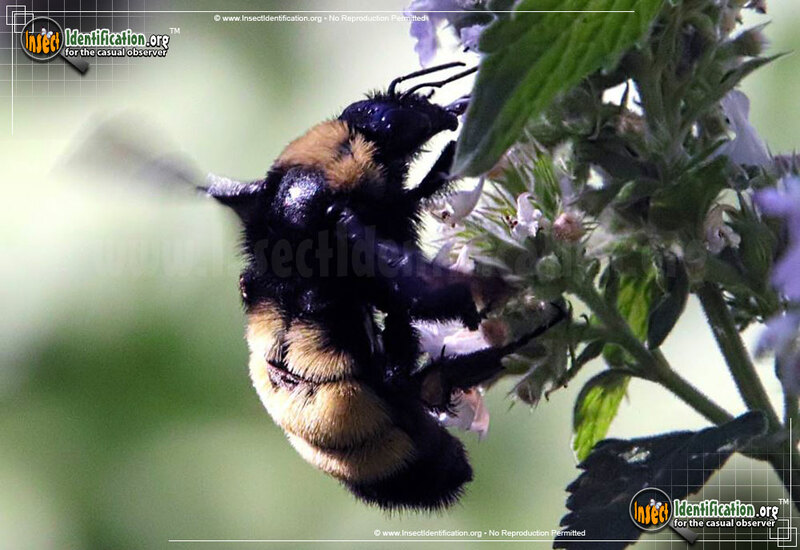 Similar to Golden Northern Bumblebee (Bombus fervidus) but larger, the American Bumble Bee has black coloring just behind the wings. One to three stripes of yellow appear on its abdominal segments. They have hairs all over their yellow and black bodies. The back legs have pollen baskets (pouches that are used to hold pollen grains that are collected from flowers). If a bee is having a good day, you will be able to see the full baskets, overflowing with orange or yellow pollen. They do have smooth stingers and can use them repeatedly, but they are not aggressive and are unlikely to take notice of people and pets that aren't attacking them or their nest. 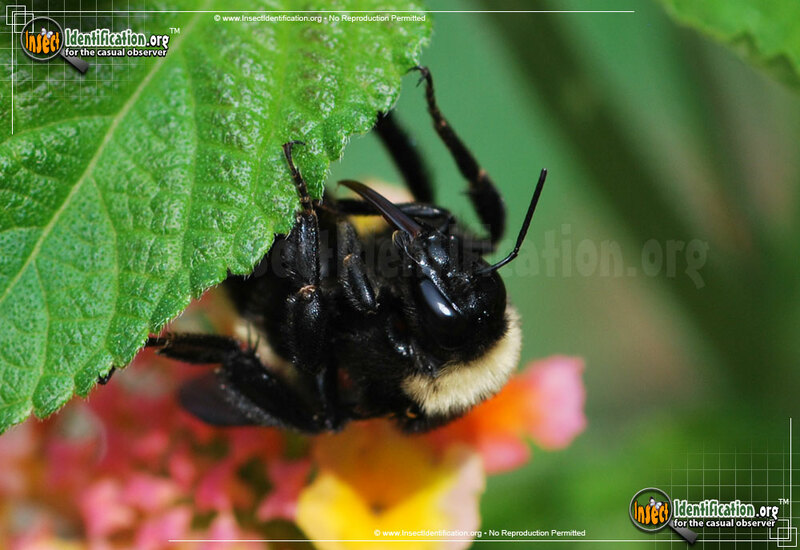 Bumble bees are industrious pollinators. 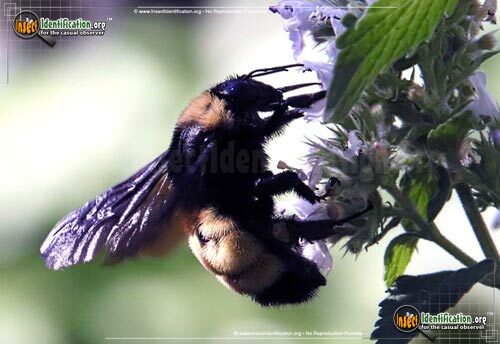 They forage for pollen and nectar all over meadows, parks, open fields, gardens and forests. The type of flower they collect from is immaterial. 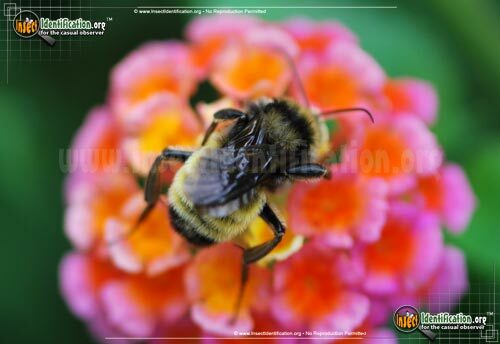 Some flowers hide their pollen inside the anther (male part of the flower) and Bumblebees are able to shake it out by rapidly vibrating their bodies and the anther. 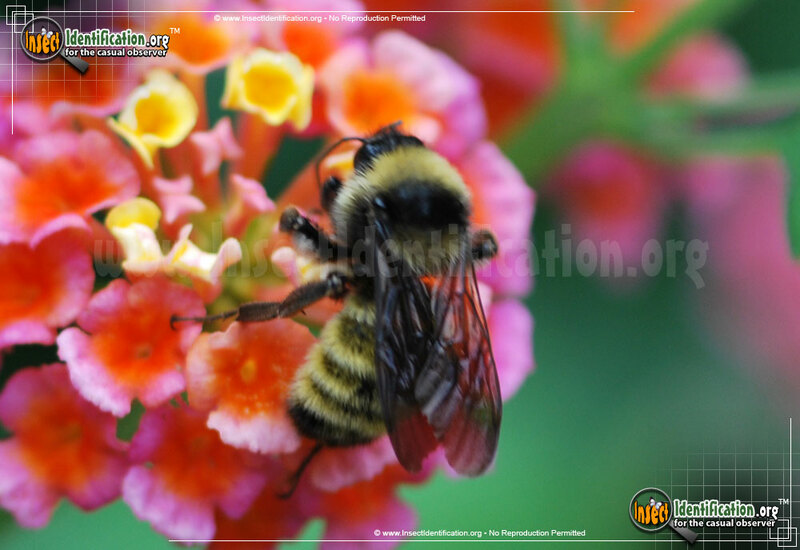 This motion creates a loud buzzing noise with a slightly higher pitch from the buzz heard in flight. 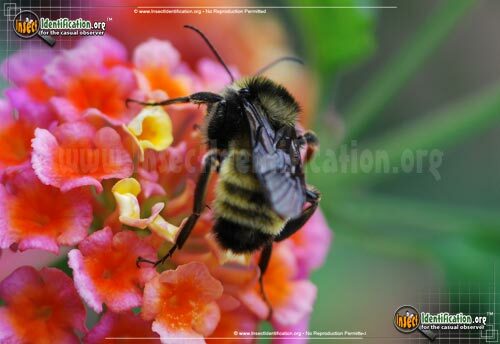 This special extraction method is called buzz pollination. 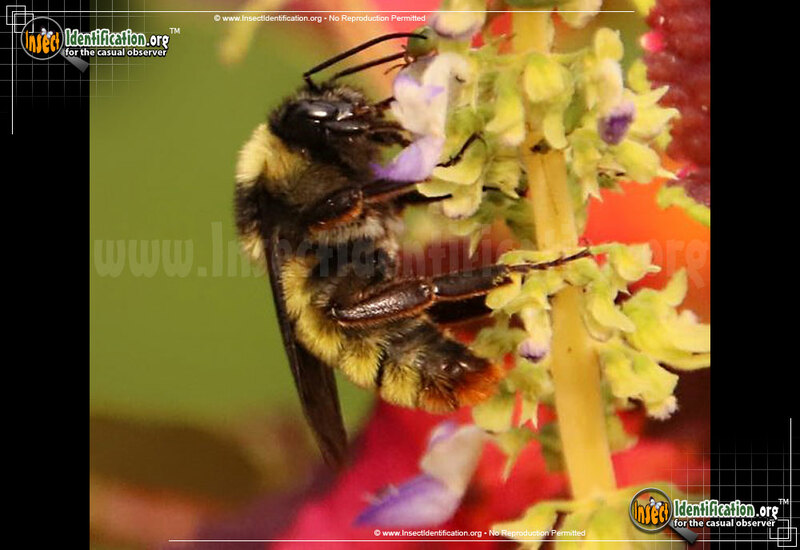 They can also use their tongues to collect nectar from flowers. They may use some of that flower nectar to make small amounts of honey, placing it in small honey pots; they do not create large honeycombs for long-term storage like Honeybees. Their small amounts of honey are not stored for more than a few days though, as it is eaten quickly, and it is not harvested for human consumption. They are beneficial insects, helping to pollinate crops, orchards and garden plants. 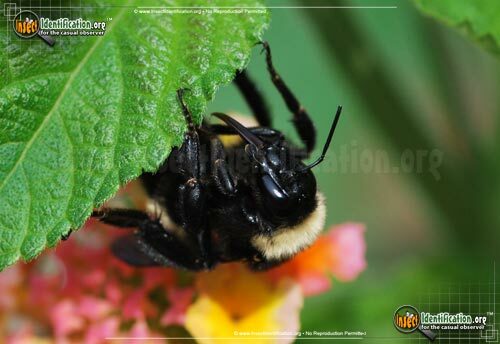 Sadly, it is one of many types of bees whose numbers are declining for a variety of reasons. 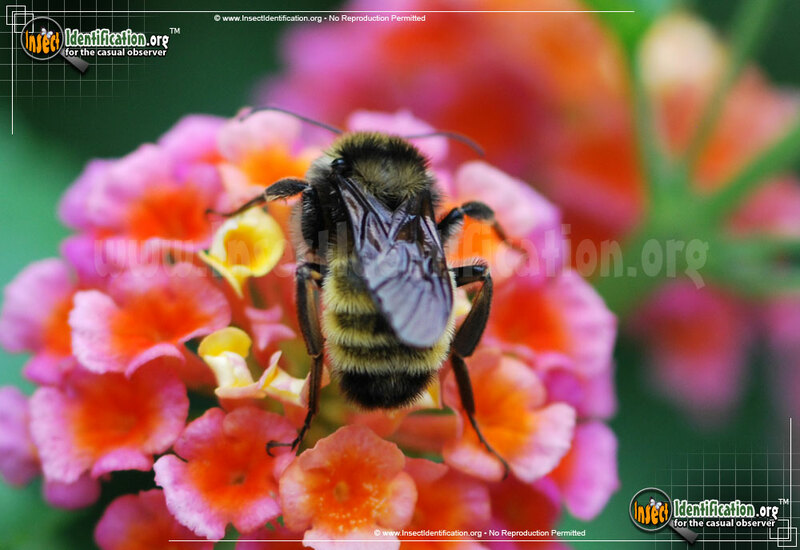 Habitat loss, pesticide use, pollution and mites are reducing the number of bee colonies in the U.S.. 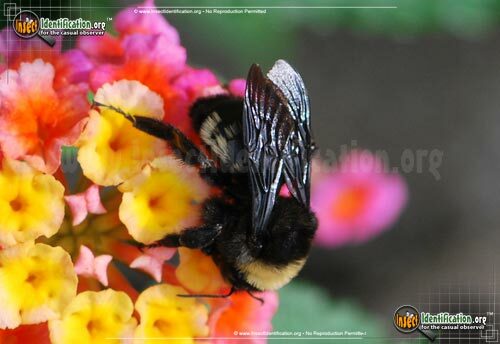 Without these small workers, most plants would need to be pollinated by hand. Birds and wind pollination are usually specific to certain plants and cannot be relied on to do the work of a population of bees.